Cheez-It Baked Snack Crackers - The iconic Cheez-It flavor you know and love comes in single-serving pouches for snacking on-the-go or at your desk. It has the same square shape, the rigid edges and that hole in the middle you'll find in larger packaging but in more convenient pouches so you can take them anywhere. Everything about this baked snack cracker is the real deal, especially the cheese. Baked cheese crackers are full of flavor. They are naturally flavored with 100 percent low-fat cheese (kosher dairy). They have zero trans fat and are low in saturated fat. 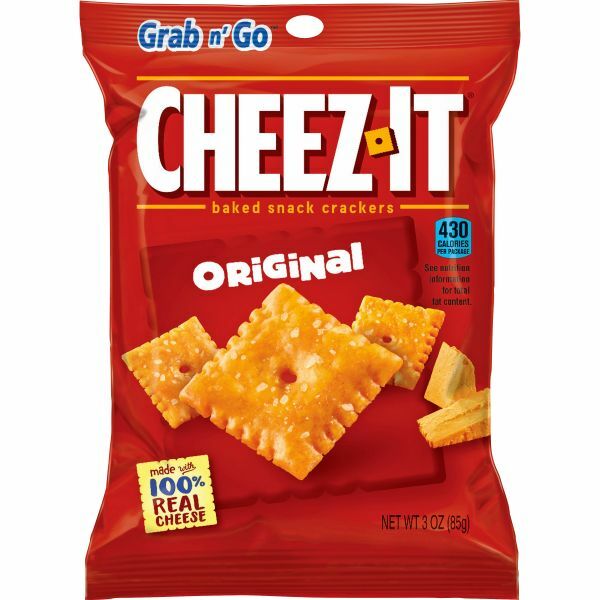 Cheez-It Original crackers also have 4 grams of protein.